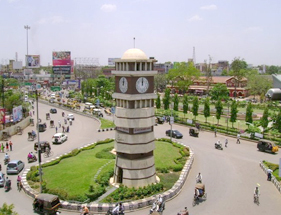 It's the capital of Chhattisgarh, which has become a major tourist destination. There are many sightseeing places like Guru Tegh Bahadur Museum, Mahant Ghasidas Memorial Museum, Doodhadhari Monastery and Vivekananda Ashram, which should be visited once by visitors. The city is commonly known for its advanced infrastructure and a major centre for IT, manufacturing and bio-technology sectors. Many festivals and events are hosted in Raipur that attracts large number of tourists from all across the globe.